Protein water routine along the day deeply affect the results you are working for and many times body builders take them right after having a heavy workout. Among them many even don’t take a protein water before bed and many of them do take it to increase the metabolism of their body so that it may help their muscles to grow while they are asleep and not doing any workouts. At night when you cannot eat anything there must be some best source of protein for the body to get the amount of energy required therefore when there is no other source body starts using the muscles as its protein source and thus bulking the fats on them, hence protein water help our body and don’t allow it to use muscles as a source of protein. Who Should Take Protein Water Before Bed? Protein water diet will not help you unless and until you have a clear goal in your mind that you want to chase. You might be using a protein water in your diet because you want to lose weight or because you are trying to gain muscle mass without loading additional fats on your body. 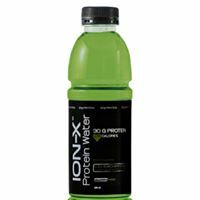 Protein waters will help you in providing all the necessary nutrients without giving additional fats on your muscles. If you are using them for weight loss than it would be added with a special diet plan so that it matches your daily calorie intake. One thing which we should keep in mind is that on an average a person sleeps for 6 to 8 hours therefore during the time when our body is at rest that’s the best time when our body repairs the muscle and also builds them up as our energy is not been consumed in any other form. Protein in our body provides the stable energy to our body for building muscles. 30 to 40 minutes before bed is the ideal time to consume your shake and it’s not necessary that you drink it just after you lay down on your bed. Not every protein water has the same reacting capabilities. Some of them are so quickly digested by our body that they are just like staple foods and some of them need hours to get perfectly digested. Whey is one of the most common protein supplement consumed by all of us but you should know that whey is quite quick in reacting and therefore may end if not in minutes than in a couple of hours. At night you need some stable source of protein that can release calories which are tremendously important for your body. Casein is the protein supplements which fulfill all our requirements which we need at night therefore it would be a good choice for the protein water you want to take before bed. For all those people who are trying to lose weight, they have to control the amount of calories being used by their body therefore you have to avoid more calories in your protein water that you are drinking before going to bed.